This photo was taken during Ghangaria Govindghat trek. Upon query I was told it is known as Kaju Badam Ragada. 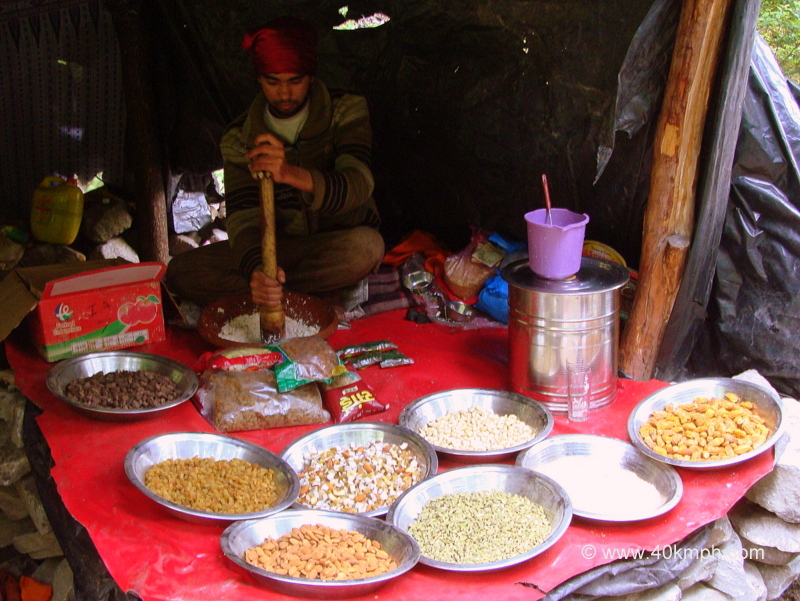 Dry fruits are mixed with milk and churned to serve. It is also known as ‘Sardai’.